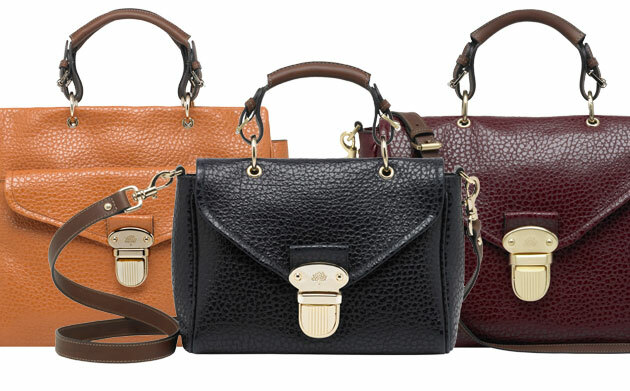 Just when my heart had recovered from the lack of Alexa in it's life Mulberry creates the Polly - and I HAVE ONE! My lovely friend bought me one, and it was a lovely surprise a few months ago when I was feeling majorly rubbish after an operation. I love my Polly in equal measure to my dog, my shoe collections and possibly my parents. Now, these bags are pricey - sickeningly so. But for every moment you can't afford a coffee - you will find two more where you absolutely love your handbag. You could wait for the high street alternatives, I'm sure Topshop and the usual suspects will create fantastic replicas - but you'll also know you have a replica. Buy the real one. Beg, borrow or steal (preferably not the latter but you get the idea).